These are incredibly simple and incredibly delicious. They’re admittedly not the prettiest chocolates in the world, but I could round up at least a dozen people who would testify to the fact that the taste was good enough to make up for what these chocolates lack in the looks department. Today’s post is brought to you today by the letter E (for Easy) and the number 2 (for the amount of ingredients needed). Ingredient #1: Melted chocolate. You can use *anything* you have on hand. Dark chocolate. Milk chocolate. Grocery store chocolate chips. You can “go professional” and use Valhrona. Anything works. Ingredient #2: Mint. I use NOW Peppermint Oil. 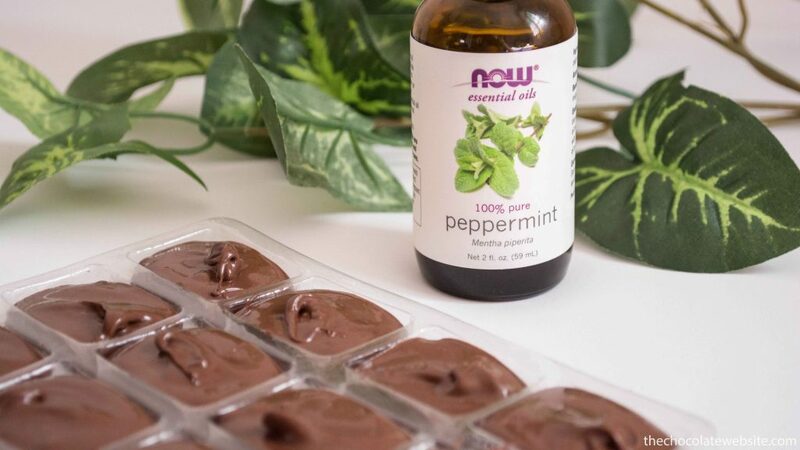 You can use something fancier (like an actual chocolate mold) as long as you research to make sure strong mint oil won’t have any adverse effects on it. I usually have leftover chocolate after making truffles (because I melt too much on purpose). To this chocolate, I then add drops of peppermint oil or extract (I use NOW peppermint oil) to taste. 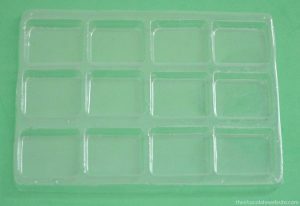 Simply spoon it in the mold and pop it in the fridge or freezer for a few minutes until it sets up. The general consensus at my house is that these mint thins are, well..pretty awesome. 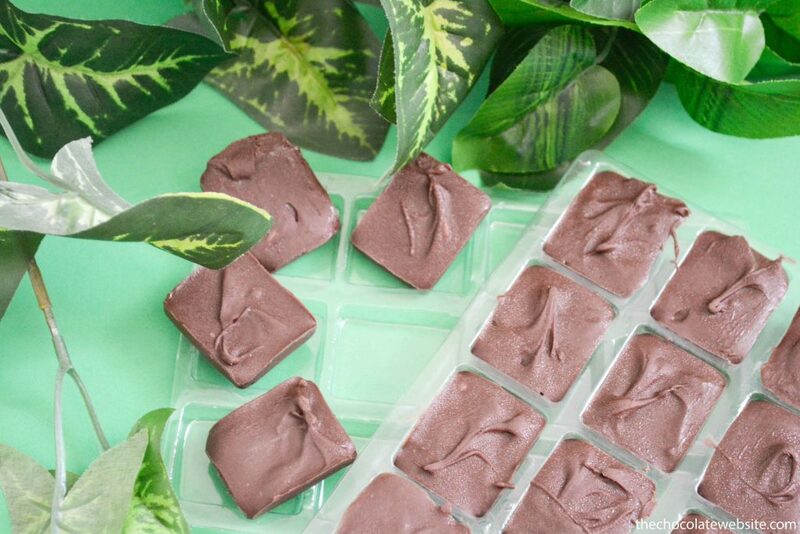 So look around, find yourself something that can be recycled and used as mold, spoon in leftover chocolate (or melt some down just for this purpose), shake in a little mint, pop it in the freezer, and…. Don’t blame me if you eat too many!